At last, after the year of messing with brushes and the level parts RPG has released this monster of a level SM82:Rubicondom. Such brutal title comes out of the textures: entire level wears textures from the Rubicon pack by metlslime. This level consits of the speedmaps of the 82th session. 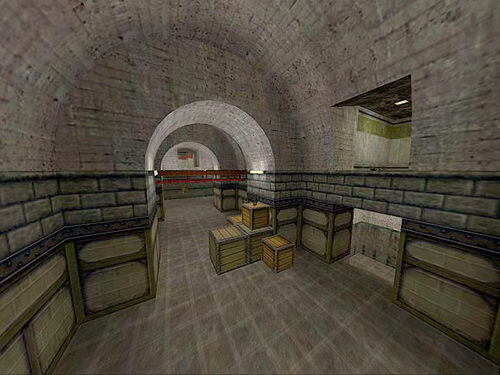 Speedmaps themselves were made by these people: PuLSaR, Zwiffle, distrans, NotoriousRay, and RPG. I liked the smooth interconnections between the parts, overall design, layout and fun gameplay. This is notable and well built level. Thanks to RPG for finishing it and bringing it to the masses. 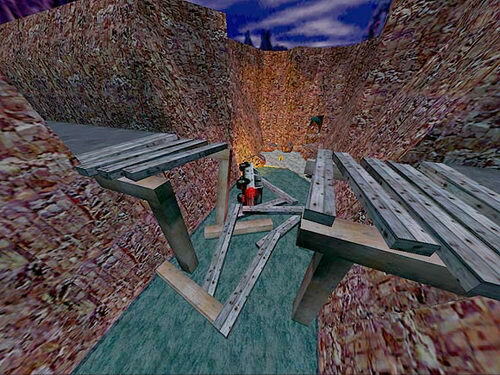 Notes: This map is a result of competition held by Game.exe magazine. They initiated Half-Life single player competition back in 97 year. I decided to participate. In result I got the 3rd place and got my face printed in mag. Nice, isn’t it? ;) Ok, the map itself has 3 submaps. And it features some kind of a story written with numerous of mispellings. My english was much worse that time than now. Now it isn’t perfect as well ;) Anyway, I got bored making this map so you can be a bit dissapointed by its ending and want more. Sorry, I was kinda ran out of fuel that time. But anyway, the map got a good responce from players, which is good. You are currently browsing the Zero Credibility weblog archives for July, 2005.